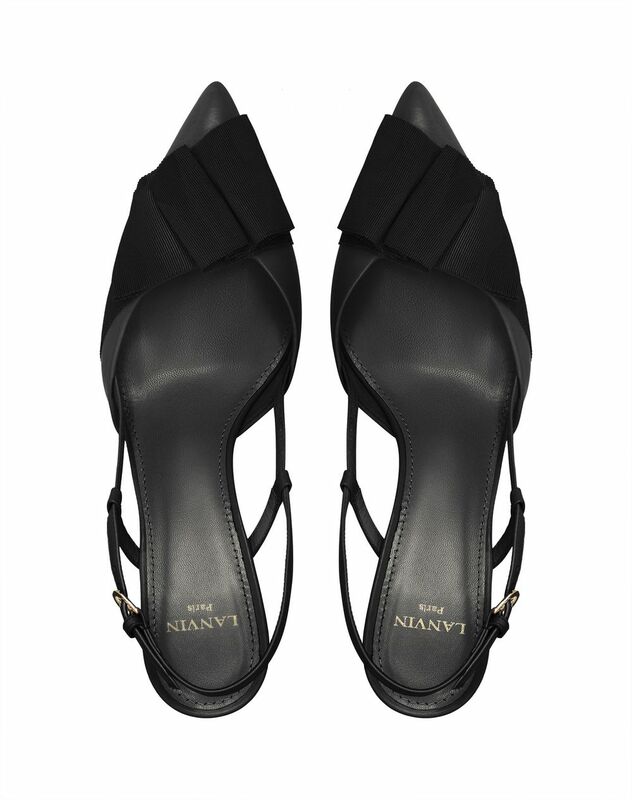 Pump in black calfskin leather, cap toe topped with a black grosgrain ribbon bow, pointed toe, ankle strap with adjustable buckle, black insole with gold "Lanvin" logo and a slim bevelled 5.5-cm heel. 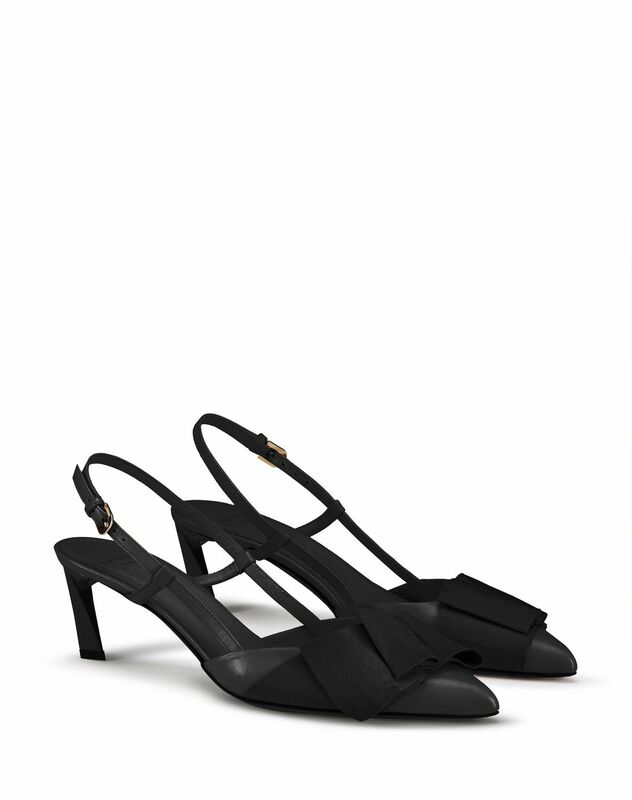 Distinctively trendy, this slingback pump in black calfskin leather stands out for its ankle strap and grosgrain ribbon bow that adds a stylish touch to the foot. The elegant 2.2-inch heel offers comfortable wear for both day and night while elongating the silhouette.